Meagher & Geer, P.L.L.P. | Our People Spevacek, Charles E.
Chuck has over 30 years of experience litigating complex commercial cases, with particular emphasis on the trial and appeal of insurance coverage disputes, including breach of contract, declaratory judgment and bad faith actions. 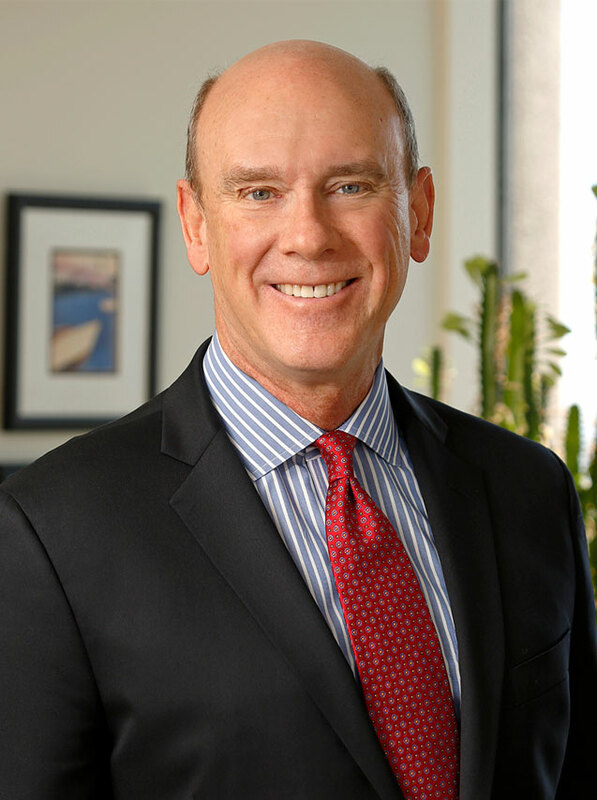 Chuck was named in both 2019 and 2014 by The Best Lawyers in America as its Minneapolis Insurance Law “Lawyer of the Year.” He was also named as its 2016 Minneapolis Mass Tort Litigation/Class Action – Defendants “Lawyer of the Year.” He has twice been recognized by Minnesota Lawyer as an “Attorney of the Year”, in 2013 and in 2006. He was chosen as one of Minnesota’s 10 best appellate lawyers and has been recognized since 2003 as a Minnesota Super Lawyer, earning Top 100 distinction in fourteen of those years. Since 2013, he has been identified by Chambers USA as one of America’s Leading Litigation Lawyers for Business. Chuck is the national coordinating claims counsel for the cyber-liability program of a major commercial insurer. He has shared his expertise on insurance issues in testimony before the Minnesota Legislature. He is a member of the Board of Directors of Center of the American Experiment, having previously served as Chair. Chuck also serves on the Board of Directors of Ridgeview Hospital Foundation, and is a Past-Chair. He has served on the Board of Directors of The Purdue Alumni Association. Representative clients include American Financial Group, AIG, Bituminous Insurance Company, Certain Underwriters at Lloyds of London, CNA Insurance Companies, Federated Mutual Group, The Guilford Specialty Group, Hartford Casualty Insurance Company, Liberty Mutual Insurance Companies, OneBeacon Insurance Group, Ltd., Riverstone Claims Management Services, Inc., Swiss Re Reinsurance Company, The Travelers Companies, Inc., and Westfield Insurance Companies. Chuck’s experience includes work on several major cases whose decisions have been cited as significant precedent in over 300 published opinions and scholarly papers. The Best Lawyers in America® 2016 Minneapolis Mass Tort Litigation/Class Action-Defendants "Lawyer of the Year"